How do I access my PDF guides? You can find your PDFs in your Practice under the Guides tab on our website. At this time, we do not have the ability to access PDFs on our mobile apps, so be sure you head to www.alomoves.com to find your PDF's and guides! 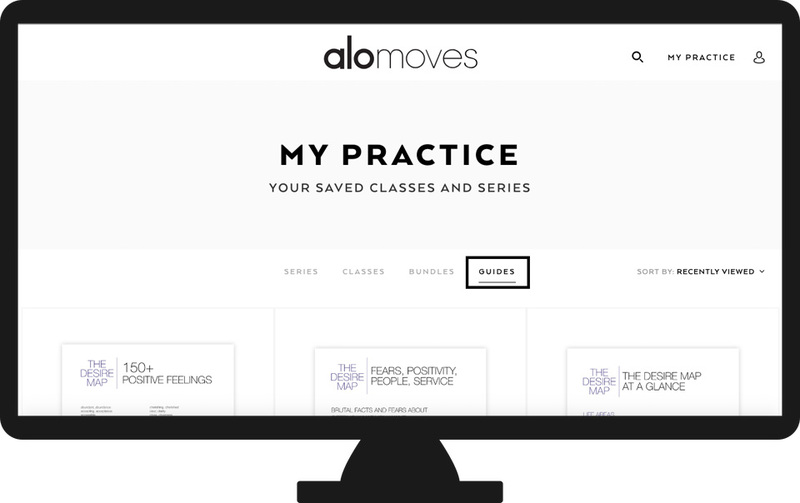 You can find your Practice on the navigation bar at the top of any Alo Moves webpage. Once on the page, you can find the Guides tab just below the Practice headline, where Series/Classes/Guides subheadings are located. You can download any PDF to your desktop by clicking the download button. Why can't I find my PDF's in my mobile app?